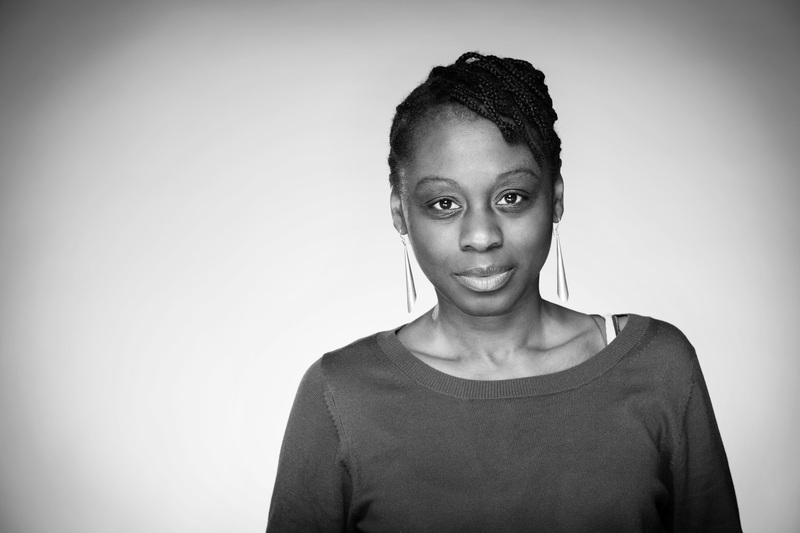 Actress/playwright Natasha Gordon was born in North London to parents from Jamaica, her grandparents were of the so-called Windrush generation in the late 1950s. The actress who picked up her pen just five years ago had her debut play Nine Night premiere at the National Theatre in April this year and it will now transfer to Trafalgar Studios, which opened on 1st December 2018. This is a pivotal moment in history as Gordon becomes the first black British female playwright to have a play in the West End in 2018!! Talking to Alt A Review she explains the ‘nine night’ ritual was something she experienced quite late when her grandmother died and how she learned to appreciate where the tradition come and how it inspired her first play. Gordon was the recent winner of the London Evening Standard Theatre Awards Charles Wintour Award for Most Promising Playwright in 2018 and since speaking to her we have learnt she has been nominated for Best Writer Award in The Stage newspaper’s ‘Debut Awards’. Her stage credits include Red Velvet (Tricycle Theatre), The Low Road and Clubland (Royal Court Theatre), Mules (Young Vic) and As You Like It (Royal Shakespeare Company). Her film and TV credits include Dough, Line of Duty, Class and Danny and the Human Zoo. ALT: Firstly, I would like to say congratulations on you winning the ES theatre awards, when you won how did you feel? Gordon: I was completely stunned, I was not expecting it all, it was overwhelming and just felt like one of those moments in life, the most magnificent moment other than finding my life long partner and having children and going to drama school it is another one of those moments that felt so incredible like the heavens and the angels were just lifting me up. ALT: 2018 is your moment with Nine Night making it to the West end stage, it is also a historic moment as the first black female production to ever be in the West End. Obviously this is a massive achievement for any playwright but again it is 2018 so do you see this as progressive? Gordon: It does not look like progress when we put it on paper the first black British female playwright to transfer to the West End, it does not mark progress, I suppose what it marks is a kind of paving the way for more, for another generation to push the door open even wider, further it marks, Nine Night following Misty back to back. But it is certainly not progressive enough, we still have come a long way there is not doubts about that, but we have still so much more work to do when we have that as a marker in 2018. It goes to show how far away we are still from making sure opportunities are equal and fair and just. It is not to do with the lack of work, work is there, and the work is stupendous. ALT: Can you tell us about more about your journey, training and how you started out, as playwright and actress which came first? Gordon: Yes, I went to Guildhall I went to drama school and I hear this story from lots of other black actors, we started off in our early years wanting to do something else, usually pushed by our parents, so like Adjoa Anwoh (referring to interview HERE ). I was interested in law, it did not come from, it did not come from my mum I was really interested in law and then, my second year at secondary school, I discovered though a new drama teacher that I had a love and a passion for acting and this drama teacher really pushed me and encouraged me to go to drama school. So, I auditioned three years in a row, the first year I only applied for one. Because I thought what was this drama school business about anyway? I am not even sure I wanted to be in that kind of environment I was kind of dipping my toes into the water, the second year I took it more seriously and applied for the top five and I got onto the waiting list for Guildhall and I really wanted to go, and I did not get in so the next year applied just for Guildhall. It was Guildhall or nothing. So, for the most part I had a very positive experience there, it was really very challenging, the first time in my life where I was in a white middle class environment predominately. I grew up in North, North East London around Walthamstow, Leyton so where I grew up had always been a very diverse mixed community so drama school was a bit of a shock from that point of view. But I have had a very positive experience I have got friends that I made for life from my training and when I left drama school the first few years I was very fortunate I worked lot, I toured loads I worked with amazing directors like Dominic Cook and Indhu Rubasingham. And it was somewhere between my mid and late twenties it started to go quiet as I no longer looked young enough to play the mouthy North Londoner but not quite old enough to upgrade to the mother role. That is when things started to slow down. But then my journey to write had been quite quick. It was five years ago now that I picked up the pen and started writing Nine Night and that really came from a writing support group, a friend of mine Sharon Duncan-Brewster she gathered together a handful of her actress friends, who were either forty or approaching forty and all in the same sort of boat. It is quiet for us now the roles are not there the opportunity to practise and hone our craft is not there so A: how do we feel about it? and B: is there something we want to do about it? and all of us in the group Sharon, Michelle Austin (White Teeth, Mad Mary) and an ex-actress called Ashley Miller and Rakie Ayola (Harry Potter) all doing fabulous things, we are all writing and encouraging each other. ALT: For anyone who does not know what nine night (ritual) is please explain? Gordon: I always say even though it is called Nine Night the play is about a black family grieving the loss of the matriarch and nine night is the umbrella under which it all takes place because they want to, some of them want to honour the nine night traditional celebration of mourning a way to help the family come to terms with their loss and but also to help the deceased, the spirit of the deceased to make their journey onwards. and it come from, they are two trains of thought from the slaves bringing the ritual to the Caribbean islands or some people say it came from indentured labourers after emancipation bringing the tradition over. But whichever way it came to the Caribbean it is deeply rooted in our African ancestry and the connection we have to our ancestors and the dead being as much a part of our living world as they are the other side of life. So that there is less of a sense that we are living and we now dead. It is we are living and alongside life are our ancestors’ spirits supporting us as we go forward. So, it is like the meeting of the two worlds, which is really beautiful I think. ALT: In the upcoming West end debut you are the lead actress, tell us about your character? Gordon: So, Lorraine very much speaks the voice of questioning that I had when my grandmother passed away. Lorraine is daughter of Gloria the woman who has passed away and she is the mother of Anita and grandmother to Anita’s child, and she is very much the lynch pin in which through the action takes place. And she is coping with the loss of her mother and trying to uphold this tradition which is pulling against her own need to honour her own private grieve with her mum throughout the play seeking the opportunity to connect with her mum, and everyone in the plays seems to be having some sort of connection to Gloria be it through dreams, dreams come up a bit the play or through the nine night there is a sense that Gloria has moved on to a better place which is the platitude that people use often when someone passes away. Lorraine is trying to search and find this sense for herself that wherever her mother is she is resting in a good place , she wants some sort of connection with her mum, but she is just not able to get it because she is so tired, over run with keeping everything going and juggling loads of balls. ALT: For the writers out there, talking about the writing process, was this a familiar story where did you get the idea from? Gordon: I had always been fascinated with the difference between British funerals I had been to and the Caribbean funerals I had been to, they could not be further apart, I had always been fascinated by that and thought I would like to do something about that one day, and it was when my grandmother passed away four years ago that was when I experienced nine night for the first time so this piece is not autobiographical but it is definitely based on my experience of coming to terms with, facing this tradition for the first time and really questioning it and questioning it because it was not something as I grew up with it was not something that my mum or my grandparents spoke about so it a complete surprise that we were suddenly celebrating this ceremony when at the same time the family were in shock and in the thick of grieve to be having what essentially felt like a party for nine consecutive nights alongside that, my senses felt like they were about to explode it felt like too much and it was not until towards the end of the nine nights that I saw, and I started to realize and appreciate where the tradition came from and why it is so important the sense of letting go collectively and how heathy and important that is. ALT: What is it like moving from acting to writing, does the acting experience make for better writing? Gordon: I think your right, there is a lot that serves you as an actor that helps you transiting to playwrighting, your sense of character, I always as an actor approach my work, my roles by looking at the whole play why my character is in the play and within scenes what my character is doing to another character that I am in the scene with so it is always as acted as possible I think that is where the electricity happens so when as an actor you have that sort of discipline and craft within you then when you come to write you know that the words that come out of the characters mouth have to be believable they have to sit with the actors mouth very easily and they have to come from a truthful place and the dynamics of why that character is in scene. I could sit down, and I could probably write pages and pages of dialogue and you would have to look at what is your intention behind what they are saying. As an actor you have all the muscle and discipline within you that it makes it any easier it just means that you have some understanding of how a character lives and breathes on a page. The difficult thing I think and I have heard other actor/writers talk about it before is actually the structure that is a lot more difficult like you might have an idea for a scene or something you want to explore when you start to look at how that scene exists within a whole play, what is the structure what is the form, that is what I found challenging. ALT: What would you like people to take away when they watch the play? Gordon: Well what is already happening from people that I have been speaking to is that they are going away and asking their parents and asking their grandparents about the nine-night tradition which I just think is so wonderful. I started to have conversations with my granddad and my mum about and it is brilliant as I just see a window to a world that is so close to them that I have never known anything about and therefore I feel like I have learnt something more about where they come from and so if people come away with a sense of wanting to know more about what the tradition is, if people come away feeling moved if people come away having laughed then that makes me content. ALT: How involved were you in the rehearsal process? Gordon: Completely we have just come to the end of the rehearsals and is funny I have had days when I just had to be in it as the actor and stay attentive to the character’s needs within a scene and I have had days when I have gone home and thought about things that I have heard, things said in a different way and I have come home thinking well actually we need to change that line or do something different here so it has been a happy balance actually …of both being in it and having outer eyes and ears as the playwright, looking at what works, so it has kept me on my toes. ALT: Finally question what advice would you give from your experience? Gordon: The turnaround in my career is happening now in my forties and I started in my twenties, so it has been a long long ride and you must have so much patience and you must hold on to your own self believe which is extremely difficult and it can knock your confidence. As an actor I have had times when I have been up for 5/6 things that I would have loved to have got all in the same month and have got none of them. That could feel soul destroying and you just have to hold on to the bigger picture and hope that your moment will come. So try and discipline yourself as much as possible to keep going really, surround yourself with good people that support you in your work and from a writing point of view share your work with people that you trust, people that can see your vision in the same way that you can, not to say they will not challenge you but people who you know have a similar taste and their heart comes from the same place that is very important. If you are an actor who can write have all those things at your fingertips. We do not have to be just one thing we can both we can do as many things that our skills set allows us to do. If you like this or anything else on our website please like, share or follow us on social media. It helps us to spread the word about creative diversity and the talent.